Visiting Antigua Guatemala is like stepping into a time-machine that takes you back over 300 years. This city is decorated with remarkable old buildings. It is curious to find so many religious buildings between short distances from one another, but there is a difference in each building. Antigua Guatemala has a variety of them. 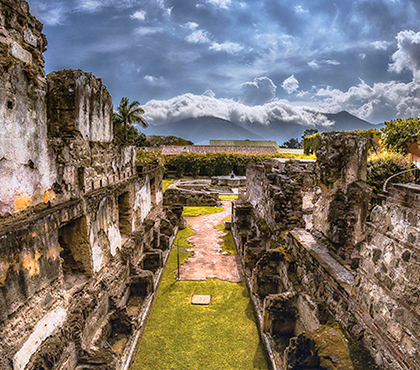 Antigua Guatemala used to be the main city of Central America. It is possibly the most important touristic center in Guatemala. It was founded by the Spanish in the sixteenth century and served as the capital city of Central America for over two centuries. That is why the region’s architecture has a European style from the colonial times. 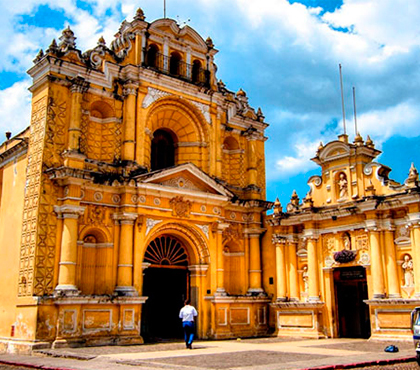 You definitely don’t want to miss the amazing churches in Antigua Guatemala. Many of them had been damaged because of the seismic activity of the region that was regularly rocked by earthquakes because it is located between three volcanoes: Agua, Fuego, and Acatenango. The chapels are small temples designed especially to the meetings of the members of an order or congregation, not for public access. The oratorios are more private, used to have a special place to pray and celebrate mass, always with the permission of the Catholic Church. A parish is a church for a specific group in a geographical area, where the sacraments are administered. And the last term we will define is Cathedral: this is the main church that brings together administrative functions for the parishes and churches in Antigua Guatemala. Santo Domingo was the first convent of the city. Its edification was in 1529 by Fray Domingo de Betanzos. In 1550 the professorship of Theology was establish in this place. It was the second convent. Its story began in 1530, and in 1540 the convent was already well-known by everyone in town. In the second half of the twentieth century it is given the authority to become the Archdiocesan Shrine of Hermano Pedro. It was founded by Pedro of San José de Betancurt in 1653. The place was small and very humble, used to attend sick homeless people. The founder was devoted especially to indoctrinate young people and years after, he built a church. This was the beginning of the Order of Betlemitas. This was the third convent, from the congregation named the mercedarios. 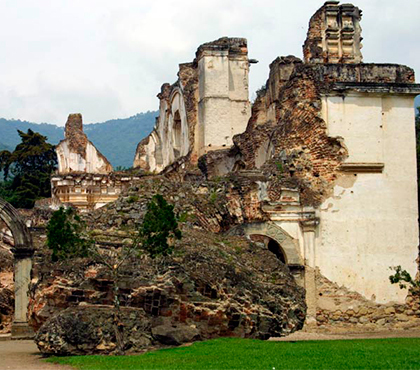 They began to establish monasteries throughout the Kingdom of Guatemala. Inside this convent-church is preserved an image of Jesus Christ with the Cross, which is considered one of the most beautiful images in the country and attracts a large numbers of churchgoers every year. It was built in 1561, but his formal temple opened in 1626. Inside the church, important cultural events such as exhibitions of painting, sculpture and photography, take place. 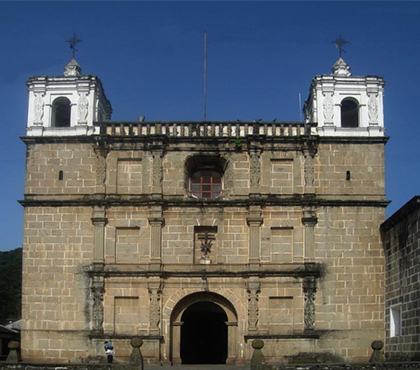 It has become a part of the itinerary of many visitors of Antigua Guatemala. It was founded in 1636 by religious who attended hospitals to treat, at separate locations, Spanish patients, mulattos, Indians and other members of the church. It was founded in the chapel of Vera Cruz. This temple was named San Miguel, where was founded the School of Christ years after. It is located in 2nd Avenue North and 2nd East Street, and it is open from 9 am to 5 pm very day of the week. It was abandoned after being destroyed in the earthquake of 1773. It restoration began in 1943 and it is still under repair today. 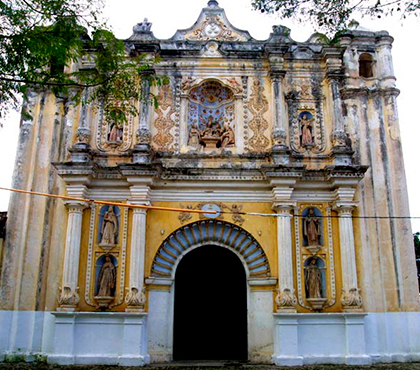 The convent’s foundation dates to 1726, an art work from architect Diego de Porres. There are beautiful fountains and courtyards flanked by sturdy stone pillars with arches and bougainvilleas flowers around, that are the center of attention of many tourists and photographers. It is certainly the most elegant of the convents of Antigua Guatemala. 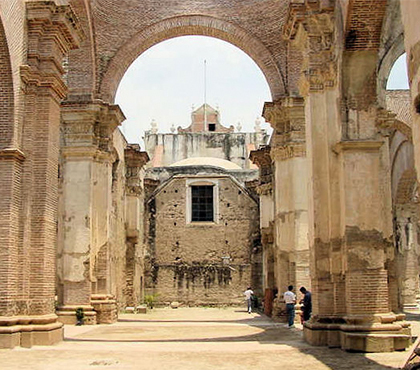 located on La Recolección Avenue, this large church built between 1701 and 1715 was very damaged in 1717 in the same year it was inaugurated. The earthquake of 1773 finished with the construction and it has lain in ruins ever since. Before it was destroyed, the construction was very big, and it’s sacristy exceeded the size of any other church in Antigua Guatemala. 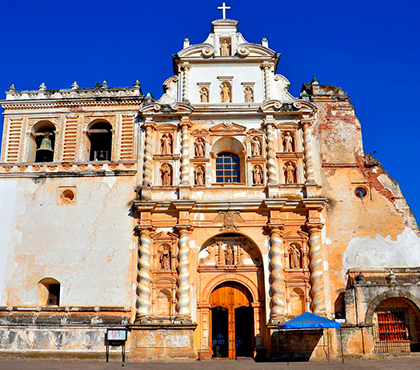 Antigua Guatemala has more than 30 monastic orders, and built stunning monasteries, convents and cathedrals in the town. 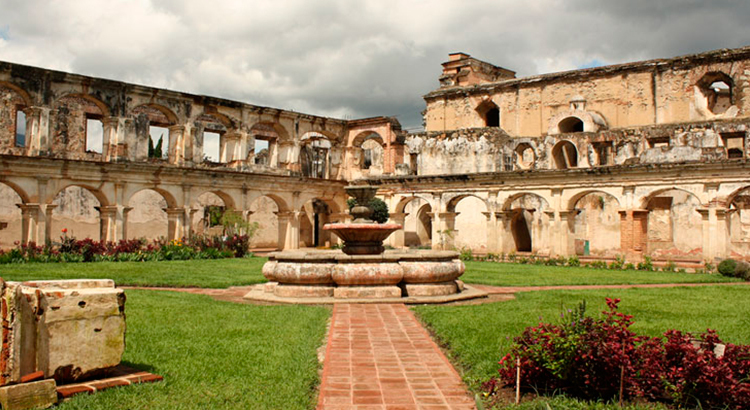 These buildings make Antigua Guatemala one of the world’s best conserved colonial cities. 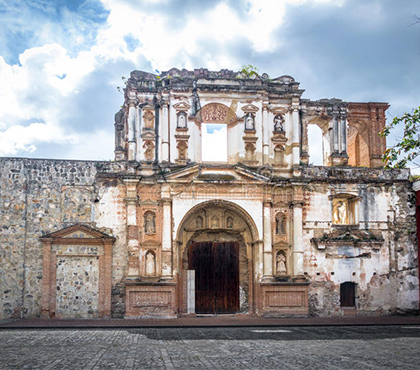 The churches and ruins of Antigua Guatemala you will have the opportunity to visit are magical and captivating art works that makes you feel time might have stopped some 300 years ago. From its colonial architecture to its beautiful surroundings, when visiting Antigua Guatemala churches and convents, you will experience the splendors of ancient times. Angel Arturo Miranda, member of the Cathedral Reconstruction Patronage of Antigua, says that he and group of people from Antigua Guatemala decided to form the patronage because of the constant destructions that the churches in Antigua Guatemala suffered after the earthquakes occurred in the place: “Since 1985, the Cathedral of Antigua Guatemala was in a very poor condition, like every other building. That is why we created the patronage to take care of this historic building. Since that time, the cathedral is in a very good condition and people come to Mass every week. We changed the floor, the walls are painted, it has electricity, sculptures are painted with 18 ct, among other improvements we have made”, he added. And for the visitors, Wilfredo Moreira, Supervisor of the Tourism Police, says that ruins, convents, and churches in Antigua Guatemala are constantlymonitored by the police and the security agents that prevent robberies of the art works. Moreira also comments: “If tourists are going to visit a ruin or a church, they can asks us to go with them in the tour, and we can arrange the activity”. If you enjoy going back in time and feel the ancient cultures inside your veins, you have to visit this city. 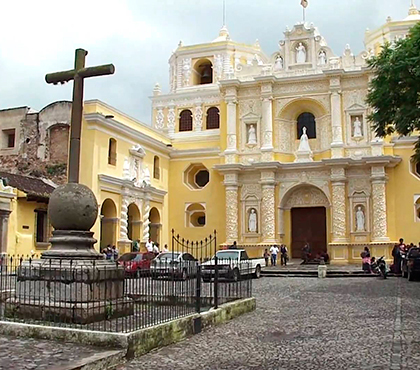 An amazing place to learn the history of Guatemala, and the great architecture that this place can show you with its churches and monasteries, without forgetting the beautiful cathedral located at one side of the central park of Antigua Guatemala.